Today I'm sharing a full meal idea which I am very fond of, so much so that I can have this for every day, but I don't. 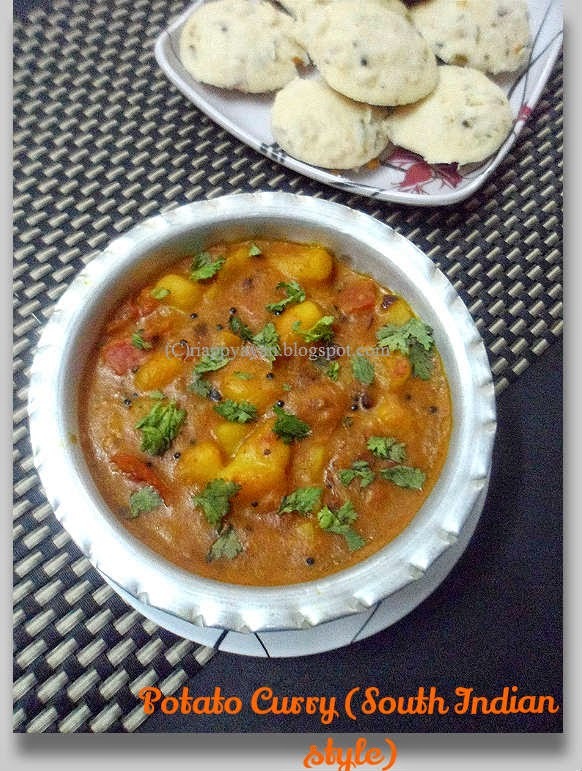 Usually, people love Idlis with Sambhar, but I love Idlis with this super yummy potato curry cooked in South Indian style. This potato curry I learnt from my South Indian friend, who is a great cook. You'll love the curry, which eventually goes very well not only with idlis, but also with rice, rotis etc. This meal you can have on breakfast or lunch or dinner. Mustard seeds : 1 tsp. Curry Leaves : 5-6 nos. Urad dal : 1/2 tsp. Cut all vegetables in tiny little pieces(very small). Chop ginger and green chillies. Prepare idli batter according to package direction or you can prepare at home. In a pan, heat oil. 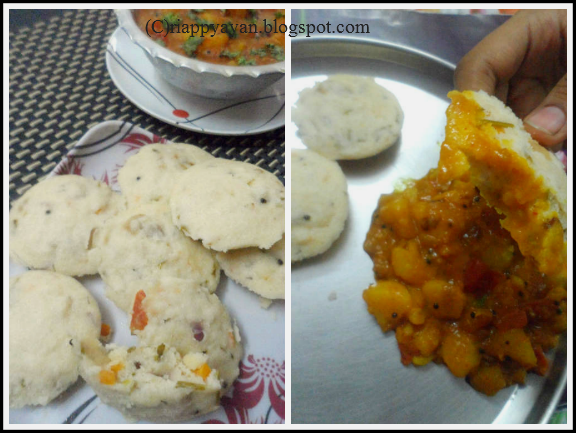 Temper with curry leaves, mustard seeds and urad dal, when seeds start to splutter, pour it in the idli batter. In the same pan, add ginger and green chillies and all the vegetables, fry for 2-3 minutes with a pinch of salt and add them too in the batter. Lastly add coriander leaves and onions and mix the batter with a spoon vigorously for a minute or two. Your idli batter is ready. Now grease your idli stand with little oil, pour the batter on each mould and steam for at least 15-20 minutes in the idli cooker. Serve them with hot sambar or with this potato curry. Curry leaves : 7-8 nos. Boil the potatoes with skin on till half done. Cool and then peel them, then cut them in mesium chunks. Chop the onions and tomatoes. Finely chop ginger and green chillies. Heat oil in a pan, temper first with dry red chilli, then chana and urad dal, when both dals start to turn brown, add mustard seed and curry leaves, after few seconds you can smell the aroma of curry leaves coming out, immediately add onions. Saute them for a minute (do not make them brown), add chopped ginger and green chillies. Add turmeric and red chilli powder and add chopped tomatoes to the pan. In medium heat, saute all teh spices till tomatoes are mashed up completely. Then add boiled potatoes in there. Mix well with teh spices and season with salt. Add about a cup of lukewarm water to the pan. Cover and cook for 3-4 minutes. Adjust the seasoning. When gravy thickens a bit, remove from heat. Pour into serving bowl and garnish with fresh coriander leaves. 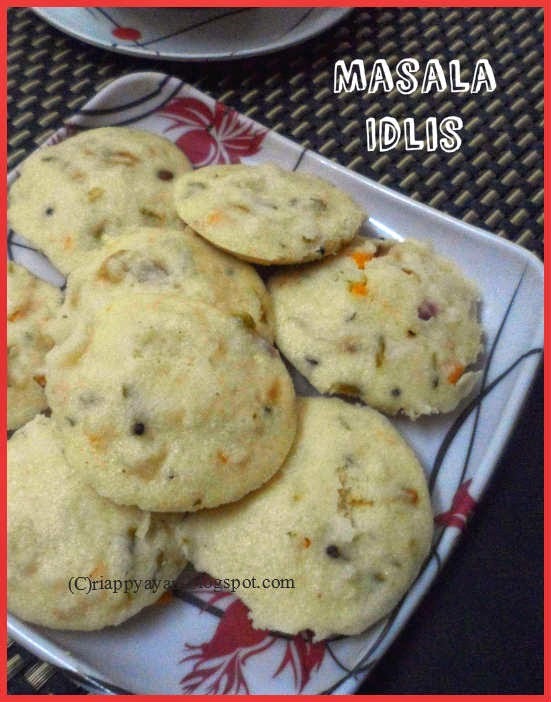 Serve hot with idlis, vadas or even with plain rice or rotis. Goes well with anything. 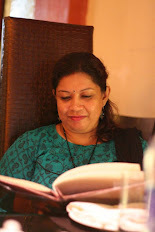 My daughter is enjoying her idlis with the potato curry and posing for me...try out and let me know if you have liked this combo or not........Enjoy !!!!!!!!!!!!!!!!!!!!!!!!!! amader most favourite khabar eigulo. tumi bolle ami chana pona nie tomar bari chole astam. 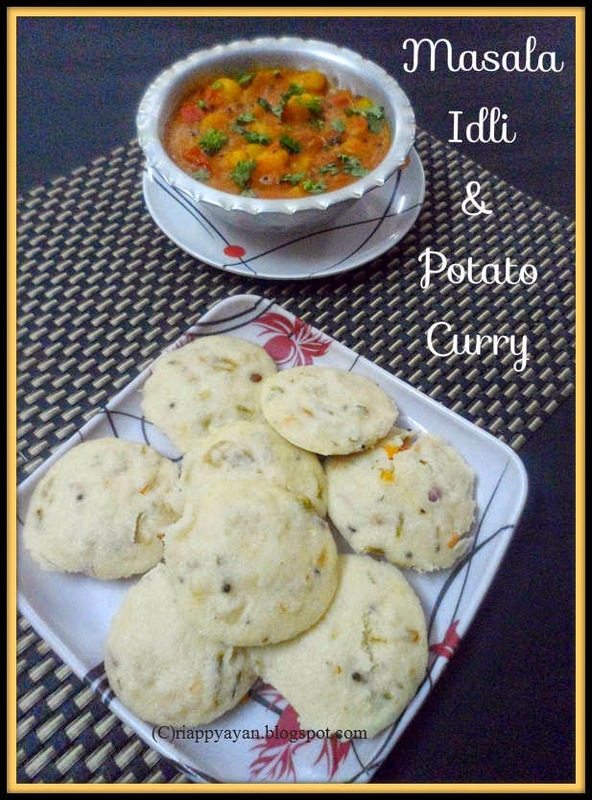 Idli and potato curry makes me hungry..